For whomever may be interested. 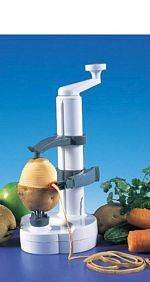 I have the Electric Rotato Express IN STOCK and ready to ship. Please email me at: [email protected] and i'll get right back to you.